18 years after Grave 8, and at last it is here! Monstrous, gatefold, thick color inner jacket - all crammed with liner notes, band photos, label scans. The ultimate in 60s punk Insanity!!! Balls-out, cruder-than-hell, rarer than hens teeth rawness - 7 of which are the only copy in existence, 3 of which there are only 2 copies in existence! 15 cuts from: WARLOCKS, RAEVINS, EMERALDS, WHY-NOTS, TURNCOATS, SHAKLES, KNOLL ALLEN & THE NOBLE SAVAGES, a.o.! 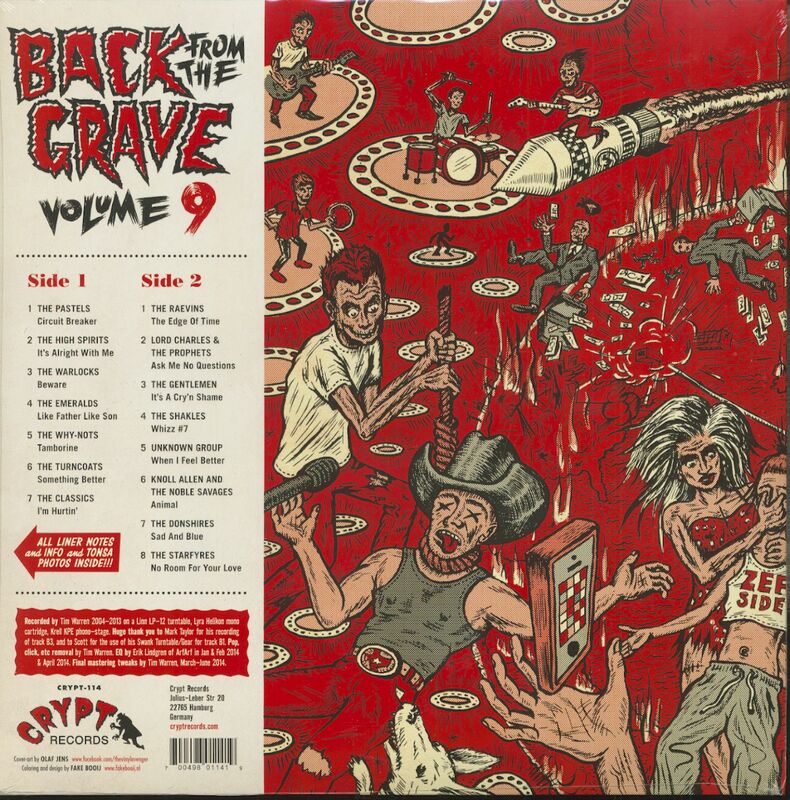 Customer evaluation for "Back From The Grave Vol. 9 (LP)"